Fava beans, also widely known as broad beans, come in soft green pods that yield tender, sweet, springy beans perfect in salads and other spring-time dishes. Learn how to use them (and get a few great recipes) below. 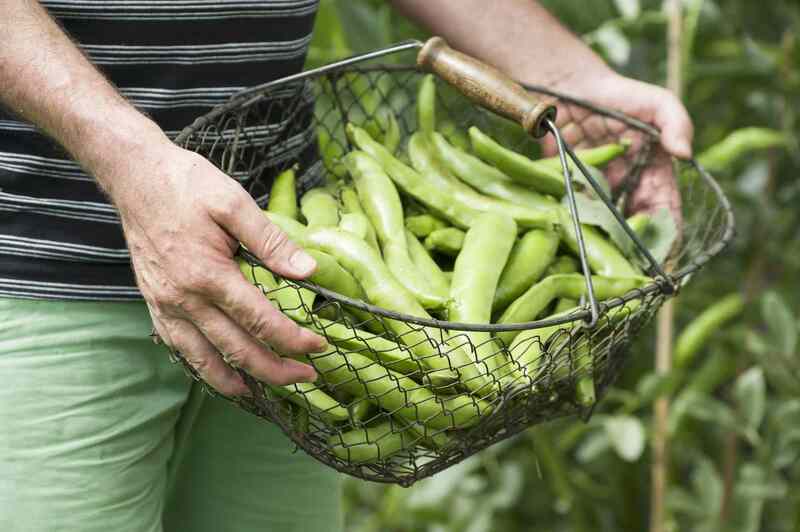 Fava beans are thought of as a spring vegetable, but they are harvested well into the summer in cooler climates. They tend to be on the earlier side of harvested vegetables, and in temperate and warmer areas they are often put in to fix nitrogen in the soil before being pulled up for other produce to be planted. Look for firm pods that feel soft or at least smooth on the side. (Fuller, more mature pods will have larger, starchier beans which can be tasty and even preferable for stews or soups.) Once home, store fava beans loosely wrapped in plastic in the fridge for up to a week (depending on how fresh they are when you buy them). Shelling fava beans is a wee bit of a production — you need to remove them from their pods, blanch them, and remove the husk from each bean — but don't let that stop you from enjoying them! 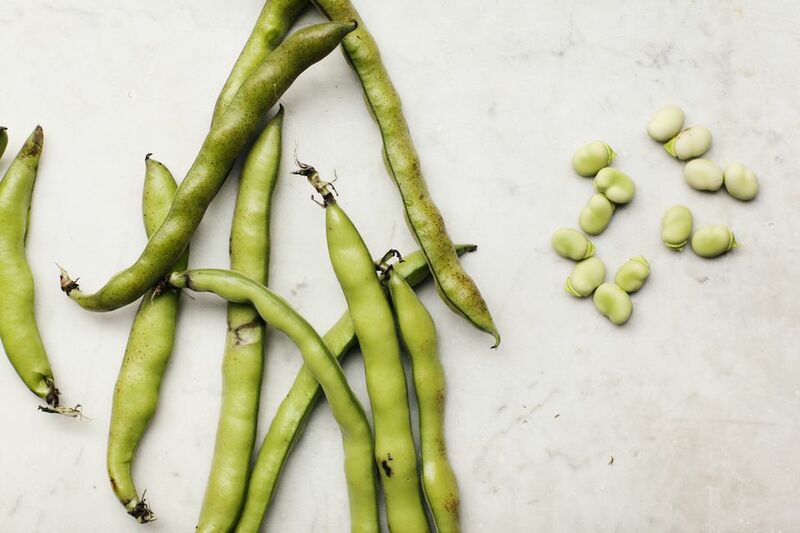 See how to shell (and double shell) favas with our step-by-step guide to shelling fava beans. Wait, wait! You don't need to shell fava beans — you can cook them slowly in a bit of liquid to tenderize the pods and make the whole thing edible. See how to make Braised Fava Beans. There is usually just a brief window of opportunity to make this corn and fava bean risotto — the very end of spring/first glimpse of summer, when, if you're lucky, both fava beans and sweet corn are available. You can combine these vegetables into an excellent fava bean and sweet corn risotto. This soup couldn't be more simple — fava beans and cream, pretty much. It has a luscious texture that results as much from the pureed fava beans as from the cream and rich taste (ditto) that comes alive with a sprinkle of minced chives on top. Favas are double-shelled and tossed with farro — whole wheat kernels — in a light lemony dressing and plenty of other spring vegetables like asparagus, peas, and scallions along with fresh herbs. Fava beans and fresh pecorino cheese is a classic Italian preparation and is a wonderful way to enjoy the fresh, spring flavor of fava beans. Be sure to serve it by itself (maybe with a bit of bread) as a first course so the fava beans (and all the work that went into shelling them) get plenty of attention.